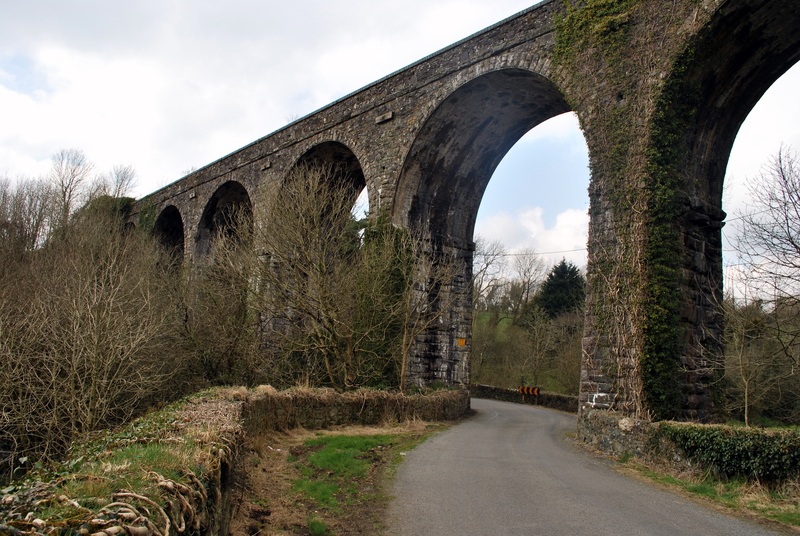 Over the river Tay, near Dungarvan in county Waterford is the Durrow viaduct, built c. 1878 for the Waterford, Dungarvan and Lismore railway. The name comes from the nearby townland (the house immediately to the north is known as Durrow house, and the old road bridge adjacent to the viaduct is Durrow bridge). 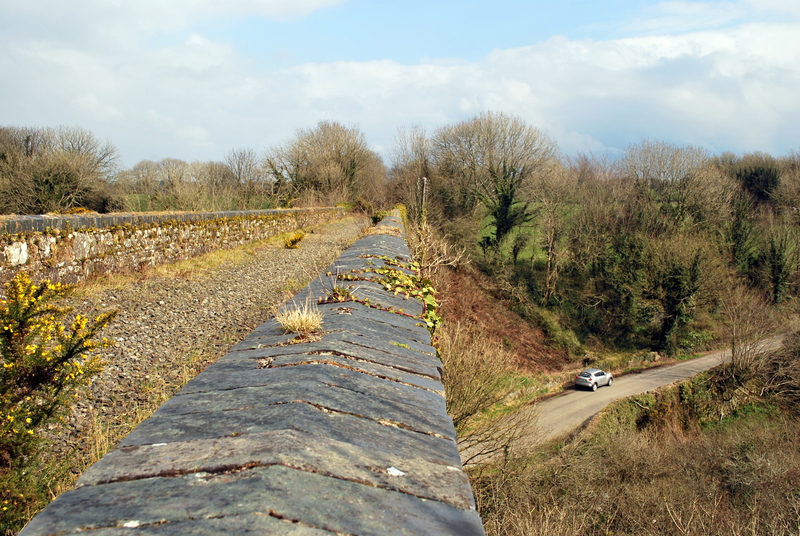 One of the great stone structures of the Mallow-Waterford railway, the viaduct has been abandoned for over twenty years. The track was intact in c. 1996 but has been since removed. 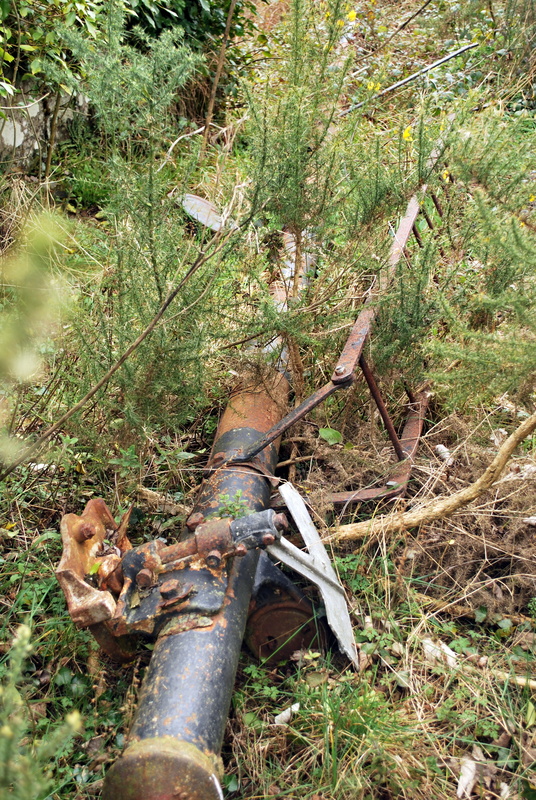 The signal at the west end has since fallen, but a shot of it appears on Ciaran Cooney’s website. Very accessible and a pleasure to walk over, this is a bit of abandoned Ireland not to be missed for those driving along the south coast. 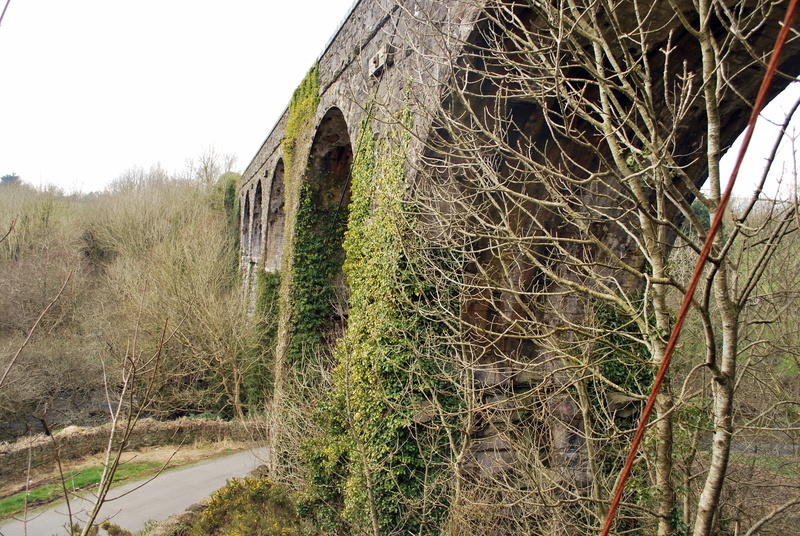 Nearby is the post-Civil War Ballyvoyle viaduct, which will be featured here soon. The map link.